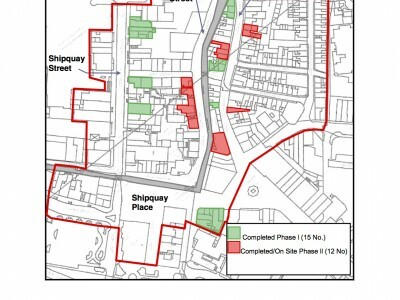 The proposed works, focusing upon external repair and refurbishment of numbers 12 to 15 Magazine Street. Prior to intervention both nos. 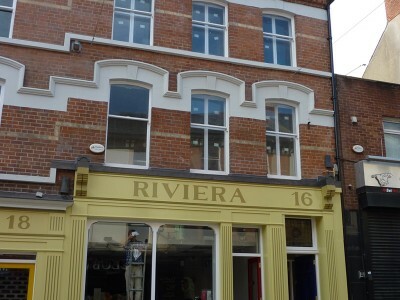 14 and 15 were finished at upper level with poor quality sand/cement render. 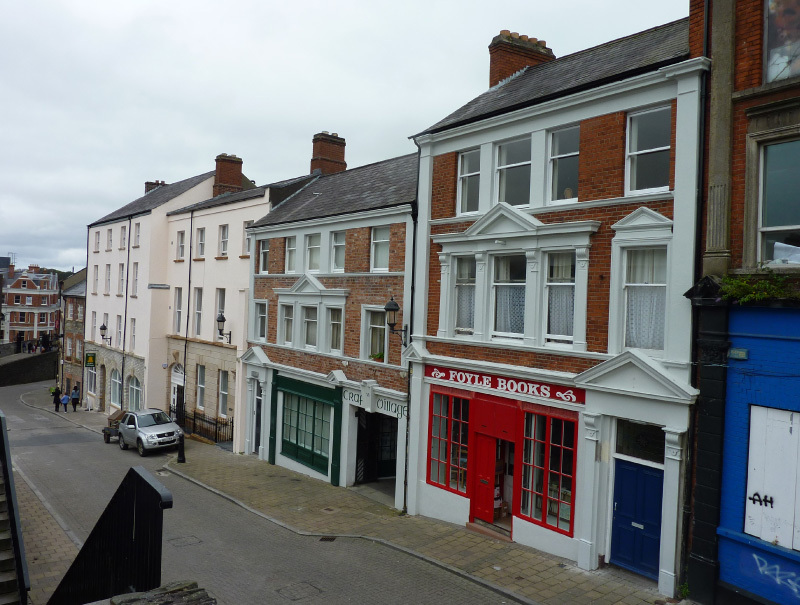 The ground floor of no 14 was finished in painted stonework whereas no 15 was facing brick. 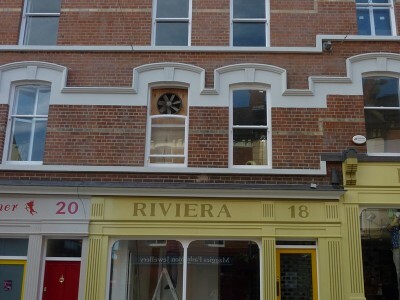 No 12 comprised brick upper facades with render pilasters and detailing with a painted render shopfront while no 13 had been constructed in 1992 to match no 12. External metal grilles and security shutters existed throughout. 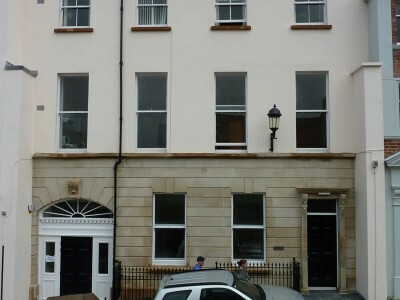 Number 14 is a grade B1 listed building circa 1870 and was originally constructed as the residence for the Bank of Ireland sub-agent. Number 15 is thought to date from the late 1800’s while number 12 dates to the early 20th century. 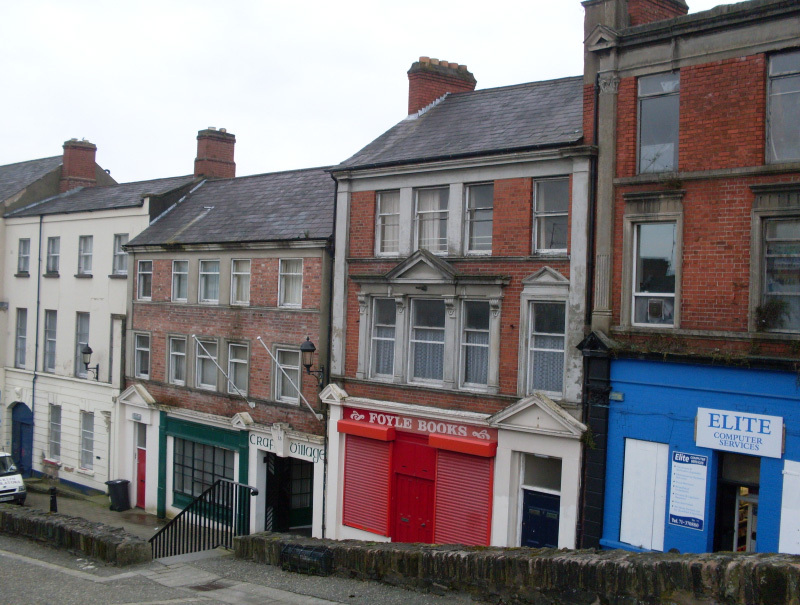 No 13 was constructed during the development of the craft village in 1992.